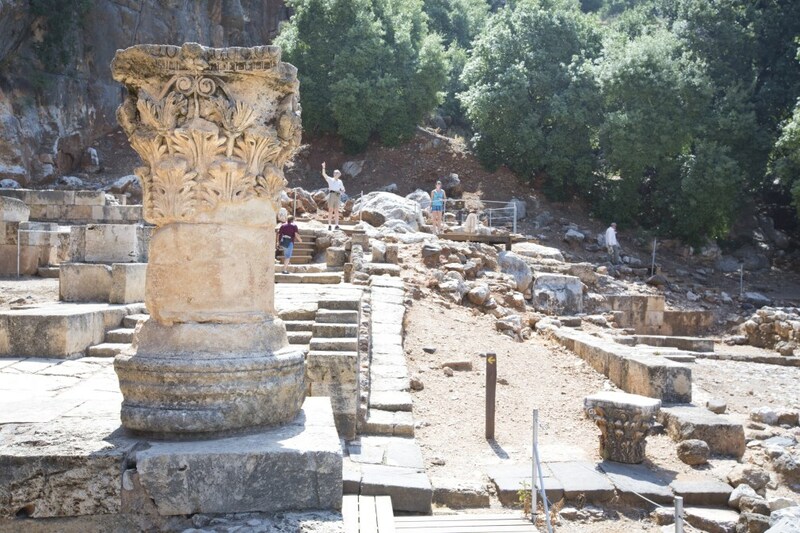 Travel Israel>To Nimrod Fortress and the Banias - Recommended Hike Track. This track includes remarkable observations towards Hula Valley, lower and upper Galillee the Golan and mount Hermon and is entwined with stories of deceit conspiracies from the middle age, inside one of the most amazing forts in the middle east. Directions: Turn east of route 90 at Hamezudot junctions (the northern junction of Kiryat Shmona) towards route 99. Continue with the road and pass the Banias until you reach an intersection leading to Neve Ativ and Mount Hermon (Mapal Sa'ar junction). Turn and go on driving until Nimrod Fortress national park. 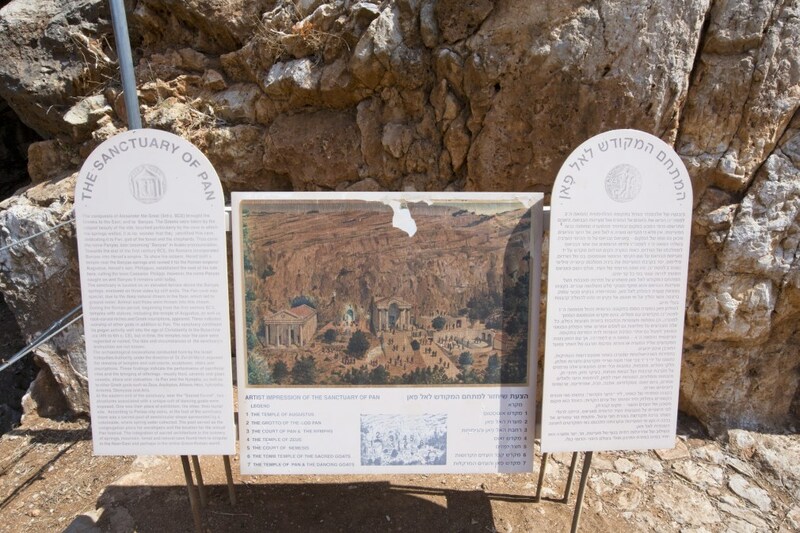 Mark Twain wrote "This must be the most glorious ruins mound of its kind in the world" about Nimrod Fortress. Many researchers believed for many years that the fort was built by crusaders, but the place has its own secrets. 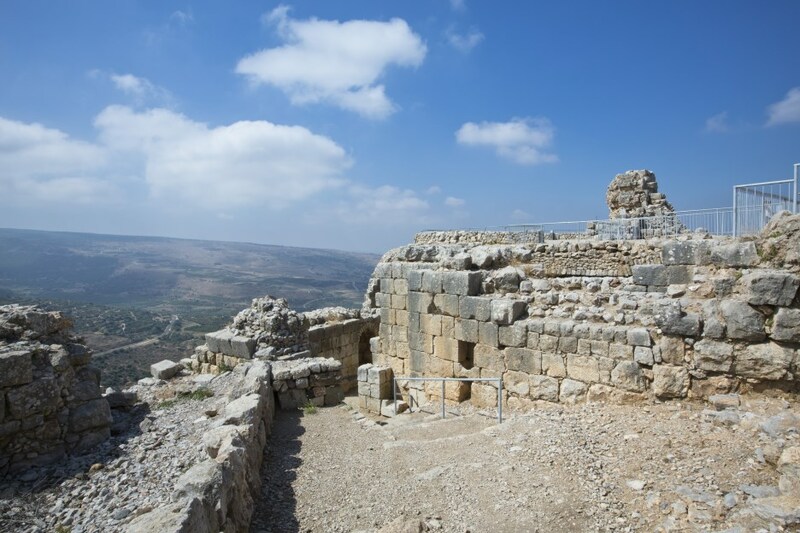 Nimrod Fortress is one of most impressively preserved from the Middle Ages. 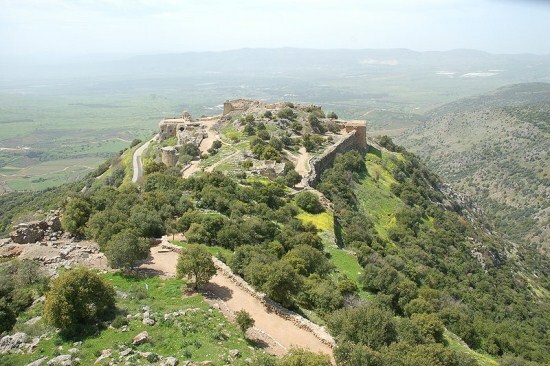 Tales of great battles in the area and frequent mentions of the towns of Banias's fort compelled researches to classify Nimrod Fortress to the near city of Banias. In recent years due to extensive research in literature, it was revealed that fort is a fort from the middle Ages, but its masons were none other but Muslims, enemies of the Crusaders at those days. those who envisioned in his mind's eye knights in shiny armors, were soon disappointed of the new revelation- this is the place to clarify that the Muslim tales and reason for building the fort doesn’t not fall from those of the crusaders. Before we are revealing the tale of the place, it's best to start from one of the observation balconies around the fortress. We'll turn our gaze west and hope the weather is fine. The great valley spreading in front of us is Hula Valley. It is easy to notice the many settlements such as Dan and Dafna. Pay attention the Israel- Lebanon border. Looking at the border, we'll be able to see Ajar village-and Allawy village built on the Hazbani's lip. Looking west, the mountain's of Galilee and Naftali ridge become apparent. The relatively large city spreading across the seam line between the valet and the mountain is Kiryat Shmona. On the mountain kibbutz Manara and kibbutz Misgav are visible. Looking south and we'll be able to see the western rims of the Golan Heights. Keen eyed would notice the three batches of eucalyptus trees- those are remains of three Syrian outposts prior of the six days war. With a giant leap to the middle ages, we reach one of the most turmoil eras this area has ever known. Israel was governed partly by crusaders partly by Muslims while all sides wanted to control Jerusalem and the major travel routes. Salah A Din, the renowned ruler succeeds of taking over Jerusalem in the year 1187 from the crusaders. A few year's later, the crusaders take over the stretch of beaches and establish New Jerusalem, with Akko as its capitol. Salah A din great gift was to unit Muslim forces together, which gave them their strength. After his death, his son's inherited the great empire; however they did not rule it well. And so Salah A Din's brother intervenes and divided the land between the two sons. The fortress was built due to a strange alliance formed against the two brothers by the German emperor Fredric the Second and Kamel ruler of Egypt. And so the two brothers decide to build the fortress in order to protect the route to Damascus. During the following years they extend the fortress when the building is complete at 1230. A few years later Baybars the ruler takes over Israel and makes his deputy, the commander of Nimrod fortress. The new ruler expends the fort and embellishes it. His activities are immortalizes in an impressive scripture dating back to 1275. Along with the crusaders submission and exile from Israel in the late 13th century the need for the fort decrease and it eventually became a prison and abandoned in the 15th century. During your visit to the fortress we recommend taking the route offered by the national park authority and visit the different halls, passage ways, guard's towers and watering hole, and try to feel the ambiance of those days. 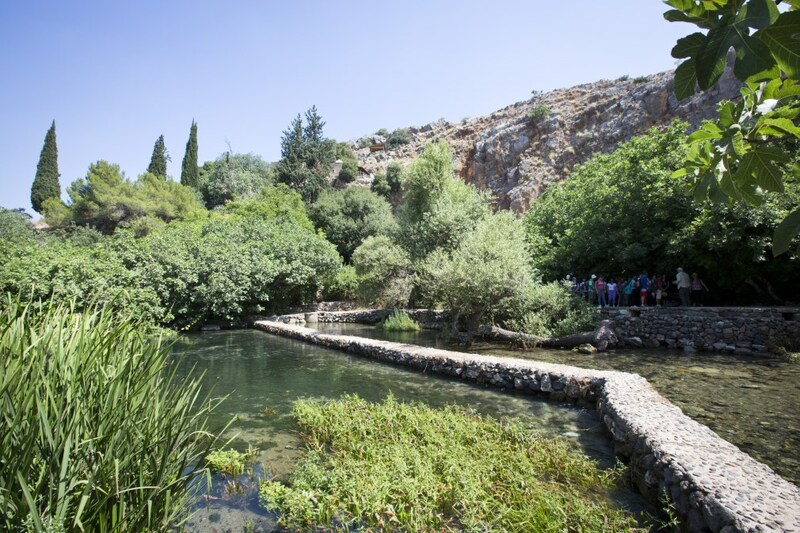 After spending some time in the fort, come and complete another piece of history in a nearby important site connecting directly to Nimrod Fortress but glorifies in an even more ancient chapter of history- the Banias. We'll return our vehicles and head west towards the Banias reserve. The Banias reserve is abundant with running waters, waterfalls, streams and springs covered by plane trees. In it lay archaeological remains reminding us of ancient times with fascinating stories of Pagan gods alters and palaces. The conquests of Alexander the great during the Hellenistic era, brought Greeks to the area. The Greeks, having witnessed the beauty of the region, dedicated it to the god Pan who was in charge of mountains and forests and named it Paneon (or by Arabic dialect- Banias). 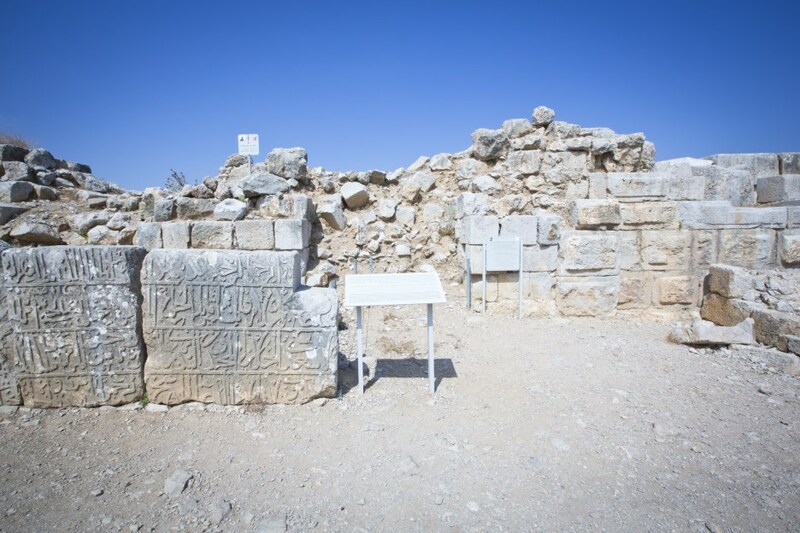 During the roman period, Herod the king built a great shrine in Nimrod, and dedicates it to the emperor Augustos who gave him rule over the Banias. His successor Phillip expands and glorifies it and establishes his capitol there- Panias. Panias continues to be the kingdoms capitol during the days of Agrippa the second, and he erects a great palace and impressive monuments there, making it a glorious city. During the 4th century with the rise of Christianity, Panias changes its face. The shrines and alters are destroyed and the days of worshiping the god Pan reaches its end. The region earns great importance in Christianity since here is the place, by belief, where Jesus gives St, peter the keys to the heavens. After its Muslim conquest during the 7th century Banias is stripped of its greatness and becomes a small village. 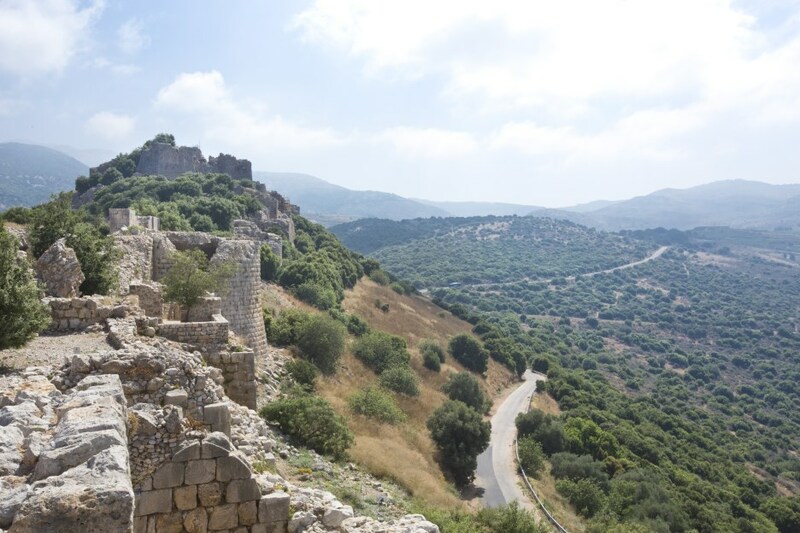 The crusaders who arrived at the 11th century see Banias as place of great strategic importance and a natural boarder of their domain, and so they try and conquer it for a long period. It is only in 1143 with help of the special Muslim branch called the Hashishyon, that they are able to overtake the city and hold it until their downfall 1187. The Banias strategic importance degrades during the 15-15th century. The fortifications are stripped and the city becomes a village that exists until 1967. During your tour of the reservation you are welcome to visit the ritualistic area where several shrines and sacrifices spots unique to the area. Also make sure you don’t miss the remains of the extravagant palace of King Agrippa's days and witness one of the best preserved structures of its time. For those with energy left in them, we recommend reaching the restored windmill station, the Officers Pool and the waterfall. For those who choose reaching the waterfall, we recommend leaving one car at the waterfalls parking lot prior to starting the course. Looking for a tour to those sites? check the following link.